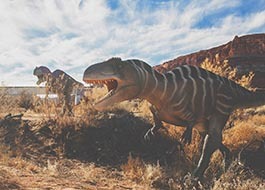 More than dinosaur bones and footprints, the Moab Giants Dinosaur Park and Tracks Museum will make dinosaurs seem alive again, and in the open air with the Jurassic rock layers right behind... C'mon! That's an interactive dinosaur park like you've never experienced! 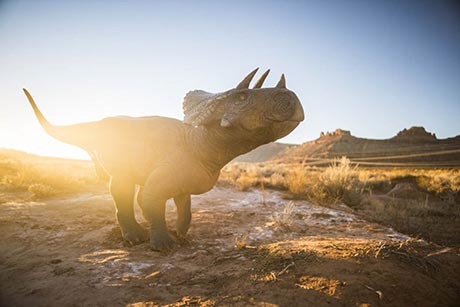 If you spend more than a day exploring Moab, Utah it is inevitable that you will have at least one moment where you find yourself pondering the jurassic age and the giant creatures that came with it. Admit it, when you were a kid you had at least one favorite dinosaur. 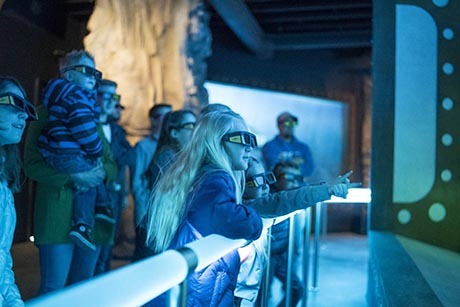 Walk down the Dinosaur Trail, Dig it Out at the Dino Playground, or the Paleo Camp, or get surprised in the 5-D virtual aquarium.  Moab Giants Dinosaur Tracks Museum offers impressive displays for dinosaur enthusiasts of all ages. Experience the excitement and fun offered in both hands-on and virtual activities and feel the curiosity and wonder of being a kid again! 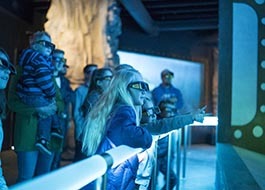 Experience the 5D Paleo Aquarium where visitors are taken on an underwater learning adventure, have a run in with the monstrous life-size dinosaurs on the Dinosaur Trail, and enjoy the 3D theater adventure that discusses what happened to the dinosaurs. All available with the Indoor & Outdoor Discovery Pass! 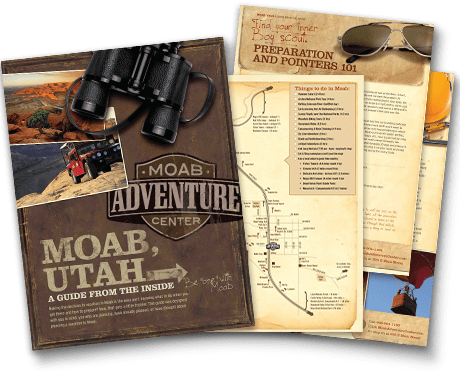 The Moab Giants All-Inclusive Family Pass is perfect for a family with at least 2 adults and 2 or more children. This pass will give you access to all indoor and outdoor dinosaur exhibits. We recommend approximately 2 hours to explore everything, but stay as long as you like! A cafe is also available if you'd like to grab lunch or a snack while at the park. It's strange to look at life-like creatures that are actually as old as the dirt you walk on... Enjoy the Dinosaur Trail with all natural lighting. Everyone had a favorite dinosaur as a kid. Can you even remember which one was yours? Do you know which one is your kid's favorite? The 5-D Aquarium might introduce some new ones to consider! 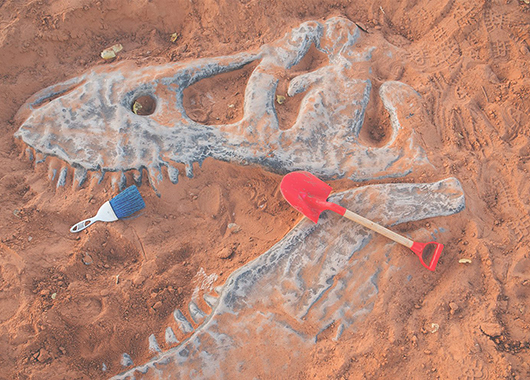 In Moab, digging for dinosaur bones doesn't seem nearly as pretend as in other places! Dig it Out, Paleo Camp and Museum displays help you understand what you are seeing in Moab. Okay, so the original movie in 1995 wasn't filmed in Moab, but all the places it was filmed will look like Moab someday. Give it an epoch or two. Utahraptor, Moabasaurus, an Iguandon named after a local Moabian rock-hound that discovered it laying there... You gotta give Moab (and Moab Giants Park) some jurassic sized props for its dino DNA. You know, that "velociraptor" scene in the original movie? Yeah, totally a pair of trouble-making Utahraptors, discovered in Arches National Park in 1991.